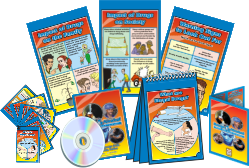 2 x Mult-language Dvds, 1 Flipchart, 12 A2 laminated Posters & Pocket Posters. 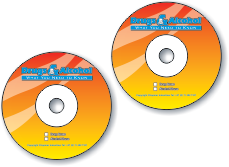 Topics: Drug & Alcohol Abuse, What is Substance Abuse, Types of Drugs, Warning Signs, Dangers of Prescription Drugs. 12 x A2 laminated Posters. Topics: Drug & Alcohol Abuse, What is Substance Abuse, Types of Drugs, Warning Signs, Dangers of Prescription Drugs. 2 Mult-language. Topics: Drug & Alcohol Abuse, What is Substance Abuse, Types of Drugs, Warning Signs, Dangers of Prescription Drugs. A2 12 Poster Flipchart with folding stand. Topics: Drug & Alcohol Abuse, What is Substance Abuse, Types of Drugs, Warning Signs, Dangers of Prescription Drugs. A4 folded Infolets, topics: Drug & Alcohol Abuse, What is Substance Abuse, Types of Drugs, Warning Signs, Dangers of Prescription Drugs. 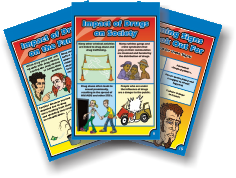 12 Pocket-sized handouts, topic: Drug & Alcohol Abuse, What is Substance Abuse, Types of Drugs, Warning Signs, Dangers of Prescription Drugs.